After extensive consultation with the Admins and Moderators we have now chosen a new batch of Helpers. This was a very tough decision; we had 150+ posts in the application thread, and there was a lot of competition for these positions. 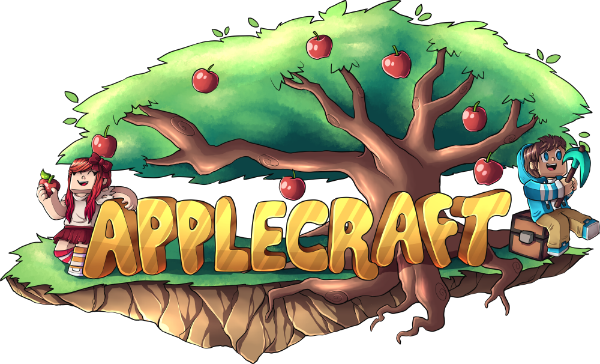 We chose people based on a number of factors including timezone, main server, length of time played on Applecraft, server activity and behaviour. We'd like to thank everyone for applying for Helper. If you'd like feedback on your application, please contact an Admin or myself. We'll have more Helper applications open in the next few months - if you weren't successful this time, we encourage you to apply again. This weekend we have two Easter events at the castle to celebrate Easter. Hidden throughout the blue and red spawns during the Easter weekend will be Easter eggs for players to hunt and collect! Trouble has struck at the castle once again! After the egg laying ceremony the Easter Bunny's prized special egg has been stolen from the courtyard! In this cluedo-style minigame, traverse the castle, and talk to the Mods and Admins, starting NOW! to help find out what happened! Once you think you have figured out what happened message one of AnarchicMuse, Koliest, Tunny, 2P, or Spanna on Discord with your guess, full username, and world your would like your prize in. Each player gets a maximum of 3 guesses. If you are correct the Easter Bunny will reward you! The event can only be done by players once. Prizes can be obtained in either Blue or Red World. No alt accounts are allowed. Spoiling of the answer will result in disqualification/punishment. We have a BRAND NEW temporary minigame being released this weekend! MelonMarauda has set up a special survival minigame for everyone to play. 1. You start with SEVEN maps in the Overworld. 2. Only ONE of the maps leads you to the next set of SEVEN maps. 3. Only ONE of those maps then takes you to the final set of SEVEN maps. 4. ONE of these final maps takes you to the prize! All people who make it to the end get a prize. However, the first group of people to make it to the end will win a SPECIAL PRIZE! The map is 20k x 20k. KeepInv is ON, but so is PVP.